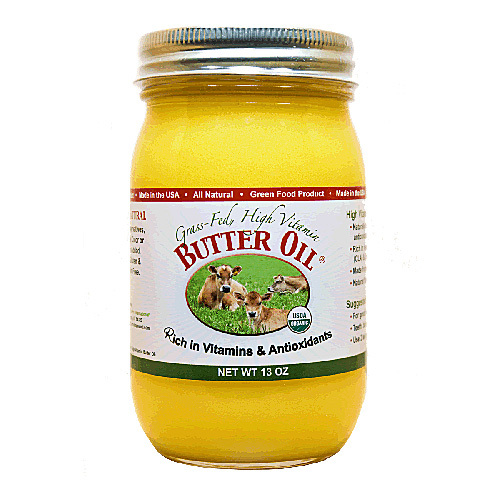 NutraPro High Vitamin Organic Butter Oil is a product of fresh non-homogenized milk from cows grazing in lush green pastures and fed only grass (absolutely no grains are fed). 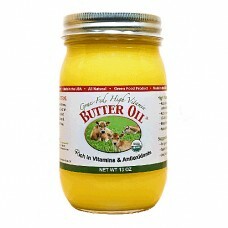 The oil is extracted from the dairy cream and processed minimally to preserve nutrients, freshness, aroma & colour. No Salt, Preservatives, Flavours, or Colours added. Gluten and Gelatin free. Made From Certified Organic 100% Grass-Fed Milk.